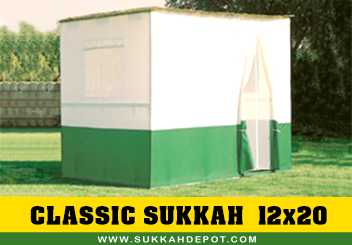 The Classic sukkah provides a classic, traditional structure. 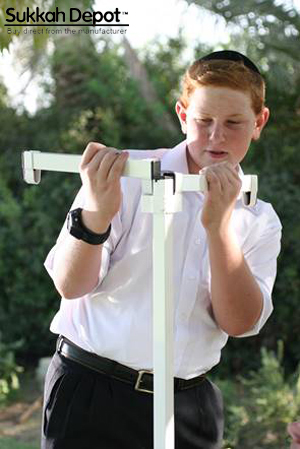 It is easy to assemble and transport, as its constructed from light weight poles that are 7 feet high. Our Sukkah is made from the highest quality materials available and is the reason why Sukkah Depot is the first company to offer a 10-year basic warranty on its products. SKU: SDCK1016N. Category: Classic Sukkah. The shop is closed for ordering. See you next year!